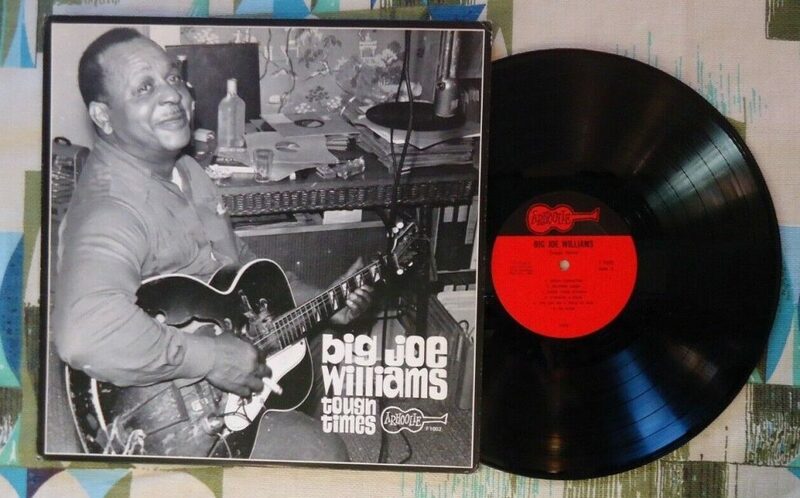 Check out these new and used Big Joe Williams vinyl records LPs for sale. Big Joe Williams certainly was a curmudgeon but was also an amazing blues musician and an exceptional guitarist. He was well known as a fighter, and sometimes other musicians chose not to play with him because he was so strict and a control freak. He, along with Charles Musselwhite, kicked off the great Chicago blues revival of the 1960s. Big Joe was very experimental and his guitar playing, and would dangle a pie plate and beer cans on his amp to get it very interesting buzzing, rattling sound. This seems like something that Jack White would be very into today. Big Joe Williams would also use his guitar as a percussion instrument by beating and banging on it. We recommend starting your collection with his exceptional albums Blues on Highway 49 from 1961 and Stavin’ Chain Blues from 1966. Our inventory is often changing, so check back again, or browse our list of vinyl from blues musicians.